The movie 42: trailer, clips, photos, soundtrack, news and much more! Director Brian Helgeland has been working on 42, an upcoming biography movie relating the life of Jackie Robinson, the first black Major League Baseball (MLB) player. 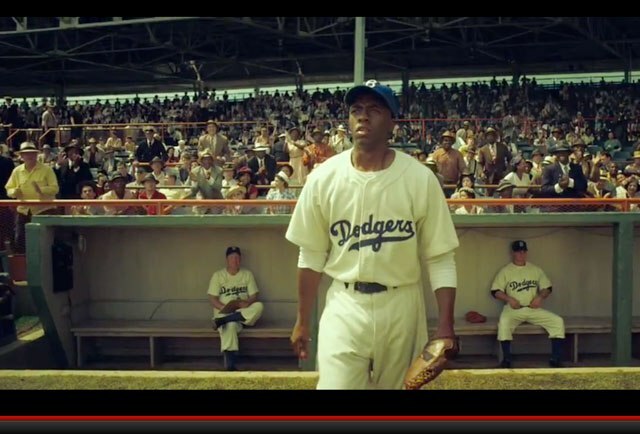 Actor Chadwick Boseman got the lead role as Jackie Robinson. The cast also includes Harrison Ford, Christopher Meloni, Ryan Merriman, Brad Beyer, Judy Tylor, Jon Bernthal, Nicole Beharie, and T.R. Knight. The true story of an American legend. 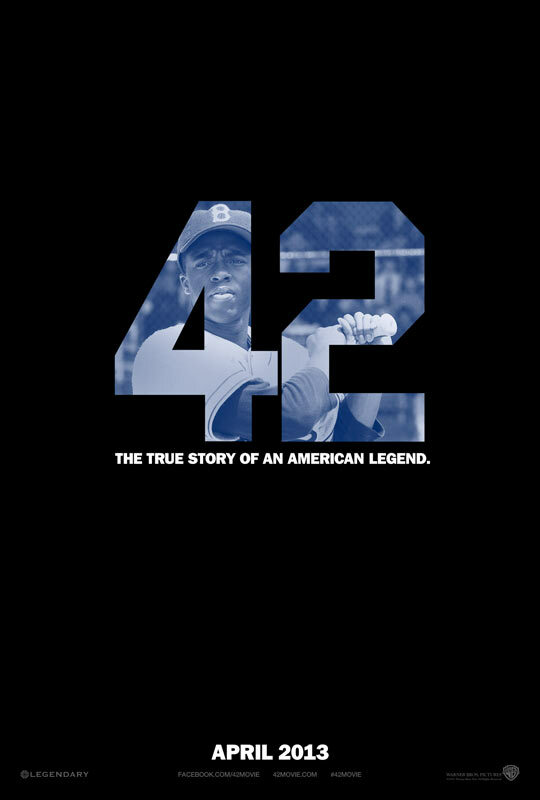 The release date of the movie 42 is set for April 12, 2013. By the way, are you wondering about the song you heard in this trailer of 42? Well, it’s “Brooklyn we go hard” by Jay-Z.